Meet the Experts - Our experienced team makes all the difference…. Looking for that perfect town or country home? Let Jamie McDevitt, Owner/Broker, of McDevitt Town & Country Properties help you find it! A former world-ranked tennis player, a current competitive equestrian, avid golfer and daily runner, Jamie is someone whose natural energy and enthusiasm shine through in all she does. Performance is a passion...both in her active lifestyle and in her successful real estate career. The same energy and enthusiasm that Jamie has in her active recreational lifestyle make her a success in her career as a real estate professional! She puts that enthusiasm to work for her clients to get the results they deserve. “I love real estate because I can channel my energy into helping people make the right decisions when buying or selling their home”. No matter what your real estate needs, Jamie will take the time to understand your goals and will work tirelessly to help you reach them. Whether you are moving to the Pinehurst, Southern Pines area to play golf, swing a tennis racket, ride your horse or simply run or walk through your neighborhood, let Jamie McDevitt and her team of Real Estate professionals work for you! David O’Brien has lived in Southern Pines since 1988. Prior to getting his Real Estate license, David had quite an extensive career in the equestrian sport of Three Day Eventing. With well over 20 seasons competing at the international level, David also owns and manages a full-scale training facility in Southern Pines. David has trained many horses and riders to compete at the highest levels of the equestrian sport. These life experiences have given David a uniquely strong perspective when working with buyers looking to purchase a farm or even land on which to build their dream farm. In addition to David’s vast equestrian background, he has a strong sense of family. He and his wife Lauren, have 2 children that were born and raised in Southern Pines. They do many activities together and have a strong family unit. This is very valuable, especially when David is working with families with children moving to our area seeking information and advice about our school systems and all the activities available for their kids. He has been with McDevitt Town & Country Properties for several years, and is quite well versed on the availability of farms, land, and homes for sale in the place he loves calls home! David has never considered himself a salesperson, but rather a consultant whose job it is to advise and help buyers through the process of purchasing a property that best suits their needs. Call on David to get started buying the farm or home of your dreams…. he will always be there when you need him! Deborah Cook joined McDevitt Town and Country Properties after she said goodbye to corporate life in sunny California to live the good life in North Carolina. Looking to infuse southern charm into everyday living – she chose Pinehurst for the peaceful and tranquil beauty found in the heart of the Sandhills community. A longtime California resident, Deborah graduated from the University of San Diego with a Bachelor’s degree in Business and an MBA in marketing. Deborah spent more than 20 years in Los Angeles heading up and directly managing two direct mail marketing companies. Hers was a position requiring perseverance, tenacity and communication skills as she worked with a diverse customer base. Her love of people, beautiful homes and the art of a “good deal” led her to a career in real estate. Today, as a successful real estate professional, she is bringing those same skills and talents to an equally broad spectrum of discriminating clients. Her business approach is direct and successful; she listens to her client’s needs and matches them to the right property and then assures an honest and efficient transaction. To date, Deborah has helped her buyers secure solid investment properties, worked with military families to locate the perfect home and assisted retirees looking to dust off their clubs so they can enjoy the world famous Pinehurst courses they have dreamed of playing. Buyers moving to beautiful Moore County have a list of questions and Deborah helps navigate the uncertainties of moving to a new place with ease. Each new client has a myriad of questions to be answered and Deborah always goes the extra mile to get quick results. It’s more than finding the perfect home – it’s everything you need to weave all the elements of an upscale, southern community into your life. Deborah loves to play golf especially with her husband who is a scratch golfer. It’s great to get “free golf lessons” on the course! She loves to entertain and is always whipping up a new Barefoot Contessa recipe to share with family and friends. J.O. has been a member of our community for many years. She hails from Colombia, South Carolina where she had enjoyed a very successful career in banking. After visiting her family in Southern Pines, she fell in love with the area and decided to make it her permanent home. J.O. is active in many social groups and has a passion for gardening and ballroom dancing. She is very involved in her church and has contributed positively to our community through her volunteer work including that with the Moore Regional Hospital where she worked with cancer patients. 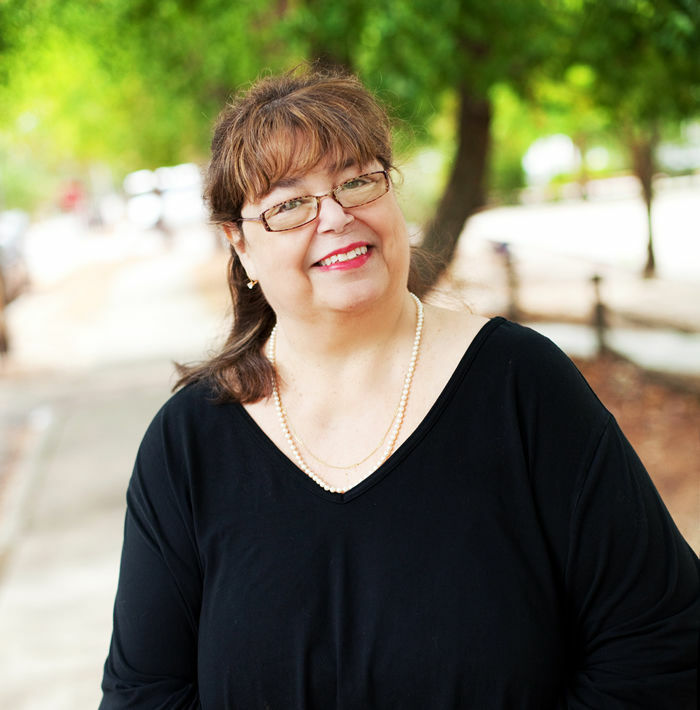 She has found the residents of Pinehurst, Southern Pines, and the Vass areas to be very enjoyable and decided to utilize her talents by helping others find the perfect home whether they are new to the area or long-time established residents. Hello everyone! Thanks so much for stopping by the McDevitt Town & Country Properties Website! I am a hometown girl having been born and raised in beautiful Southern Pines. My family was the first Italian family in Southern Pines dating back to 1911, setting up 2 businesses…a tailoring & dry cleaning company, and a 5-star Italian Restaurant. I have been a part of McDevitt Town & Country Properties for over 15 years. I am the Closing Coordinator for our company and work very closely with our buyers once they decide on the home of their dreams here. I am also the Office Administrator, and Client Concierge…so you see… I wear many hats! I love to read, bake, cook (all those yummy Italian recipes), watch baseball (Big RedSox fan), watch old classic movies, and help with rescue animals when I can…. remember…ADOPT, don’t SHOP, and spay or neuter your animals! I have 2 cats at home…Pear and Nicky Fenway! They are both rescues and the loves of my life! They are sweet, beautiful, and great company! I look forward to working with you when we find you the perfect place to call home, and when you do… you will see why we love calling Moore County our home. Lillian Puritz has lived in the Southern Pine/Pinehurst area since October 2015. Originally from New York, but has lived in Wilmington NC for the past 15 years. She loves to sew and crafts of every kind. She has a great husband of 35 years and two grown children and two dogs who keep her busy. She has been in Real Estate for over 25 years in an administrative position. 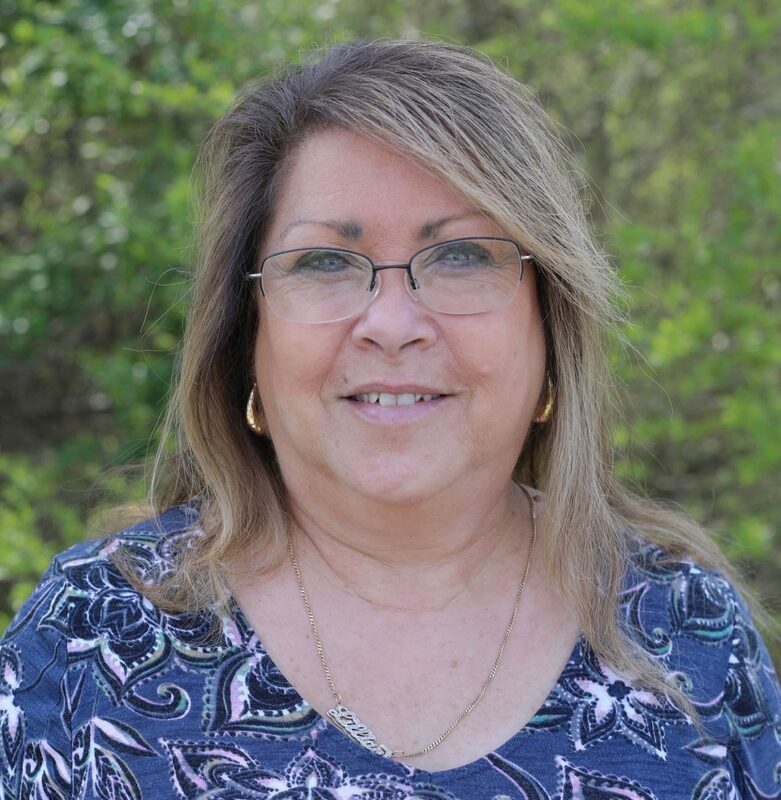 She joined McDevitt Town & Country in January 2019 as the Listing Coordinator. She brings her experience and love of customer service to the team. Harlee wanted to be just like her older brother, Foster and come to the office every day. When Jamie didn’t take her ... she would pout. So ...sometime in 2011, Jamie decided to start bringing them both! Since then ... Harlee LOVES coming to the office and sitting under Jamie’s desk! Harlee came to Jamie as a “foster” puppy when she was only 4 weeks old. We think she is an Australian Shepherd and Husky mix. Jamie was a foster failure and Harlee became part of the family! Now she is part of the McDevitt Town and Country family as well! Stop by the office anytime to see her!